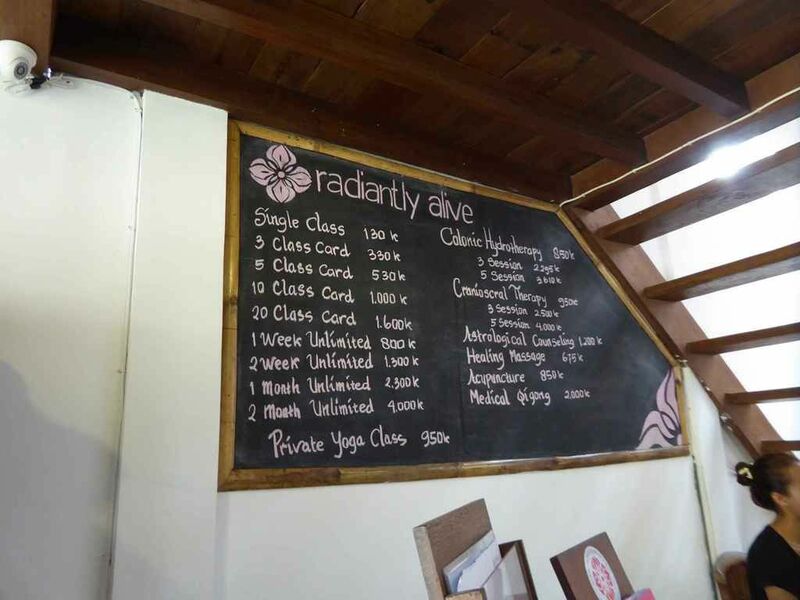 Radiantly Alive offers a one-week pass whereas Yoga Barn goes by class cards. 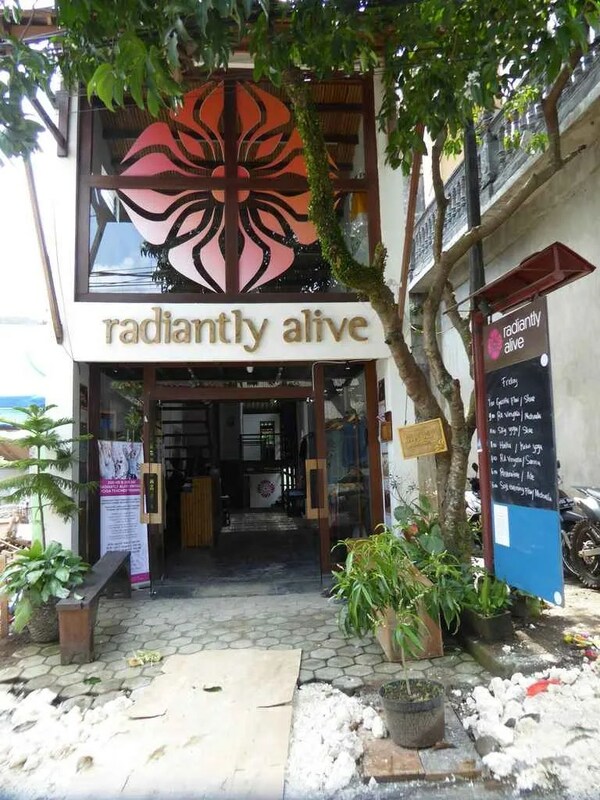 As I was intending to take 2-3 classes a day, the Radiantly Alive studio was a better deal for me. I went in Oct 2017 and I paid 800.000IDR (approx SGD76 or USD57) for 1 week’s pass. 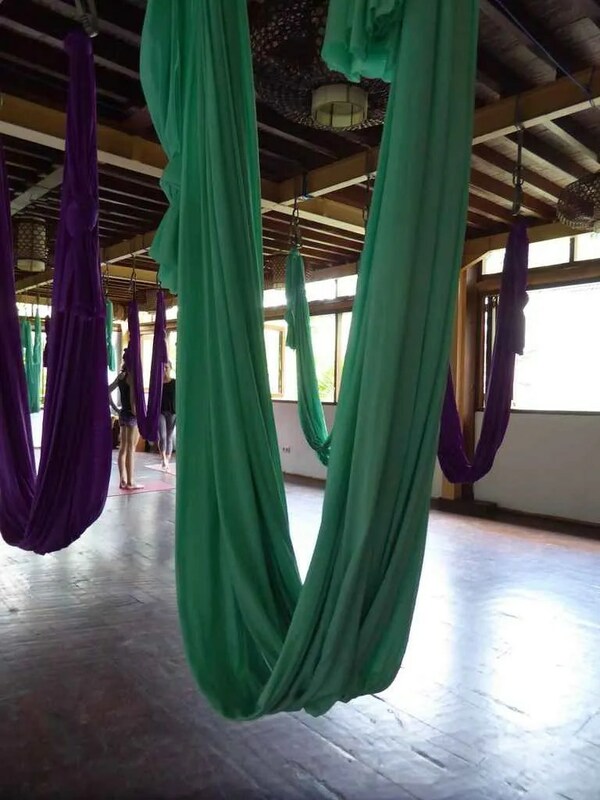 I really enjoy the aerial yoga where you practice in a hammock. 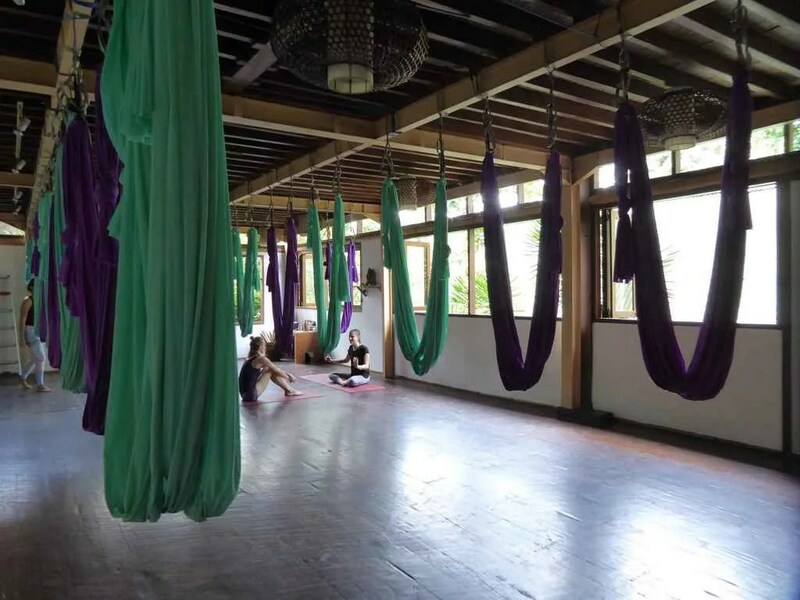 Radiantly Alive offers a variety of Sky yoga classes including, flow, core and therapeutic classes. 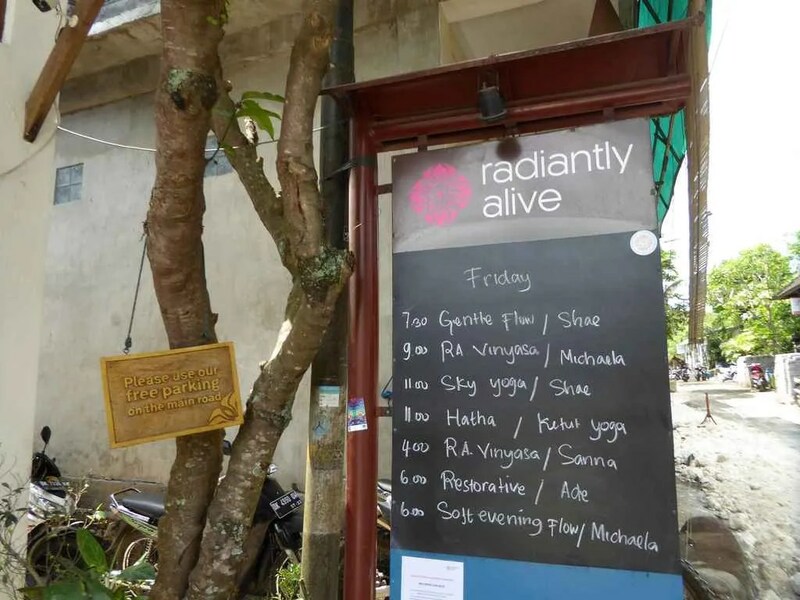 Bali seems to be a hot spot for short-term teaching stints so Radiantly Alive hosts numerous instructors throughout the year. 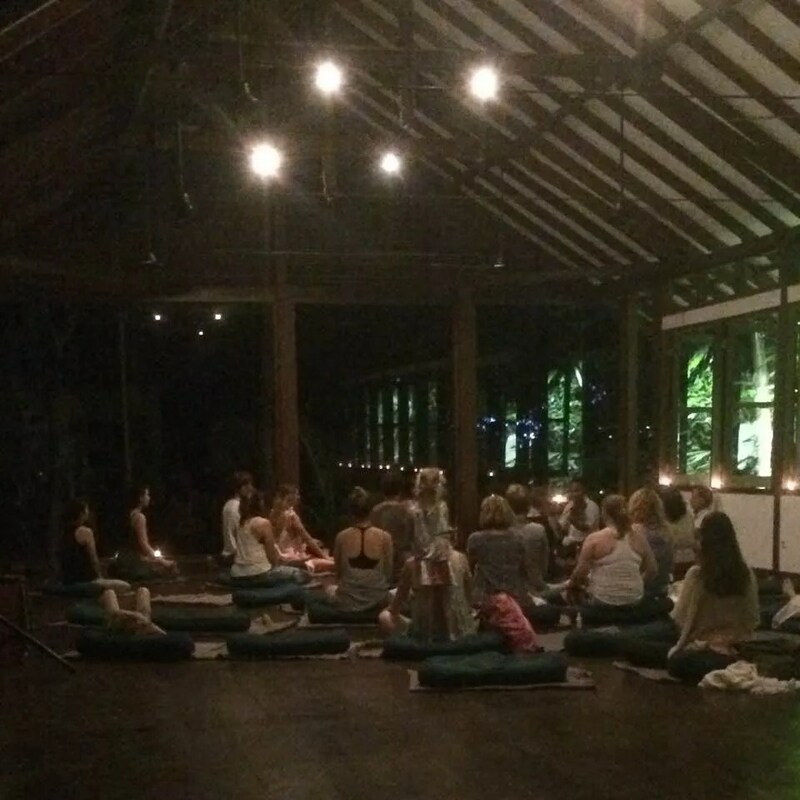 I attended Meghan Currie’s Church Yoga on a Sunday – and it really felt kind of like attending a church service weirdly. I also joined in on a Kirtan Music circle by KT Jewel. 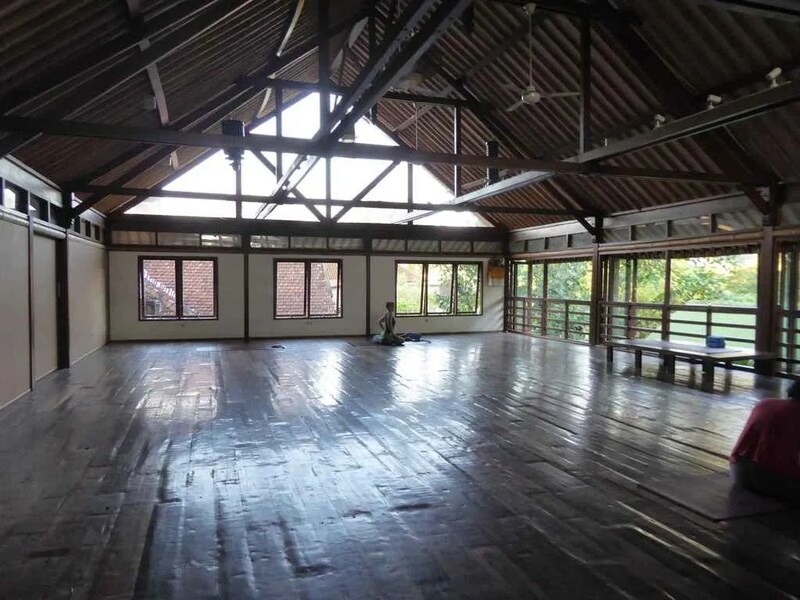 Upper studio where Church Yoga was at – every single space was filled. The sad thing is I didn’t make any breakthroughs in terms of poses – the flow is basic to accommodate all levels of practitioners. The Power or Vinyasa classes back home in Singapore often incorporate higher-level poses. The most difficult pose I encountered in Bali was probably EPK 1 or Crow. However, my mind did get stronger because the classes are 1.5hour long in a non-airconditioned studio. Especially in my third class of the day, I struggle to stay present in class. I want to fidget, move my towels and scratch my nose. But as the poses get harder, you kind of forget these little wants, stay focused and try your damn hardest not to fall out of the poses. My favourite class got to be Sky Flow and Kirtan Music. Sky Flow because of the acrobatic elements and Kirtan because it is one-liner mantras that I can sing without messing up lyrics. It was such a communal feeling without discrimination. In terms of Vinyasa, I think it’d be both Sanna’s because of the great class pacing with child’s pose in between sequences so you don’t feel so exhausted. Shae Lamond’s comes a close second because of what she speaks through the classes really rang close to my heart – being present in class. Often we tend to move to the next posture because of muscle memory. There are so many times I have moved to the next pose without thought. She changed up the sequence a little throughout the flows so you’re forced to be present. It’d be a while before I’m back again but I’m glad to have taken the time out for some good yoga practice in beautiful Bali. 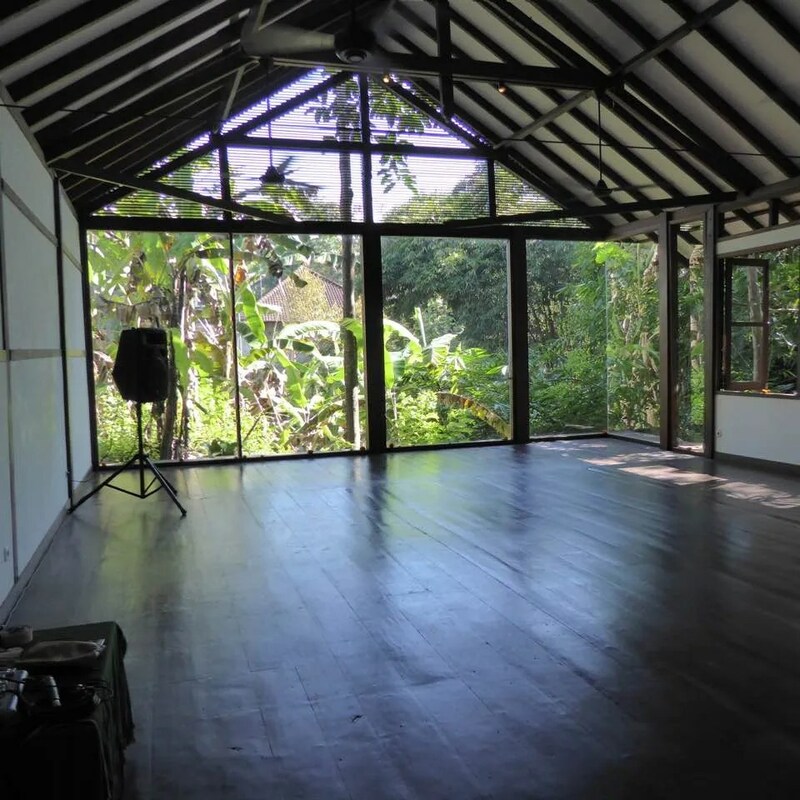 DIY yoga retreats in Ubud is actually very simple. Read my review of other Ubud homestays and food in Ubud.